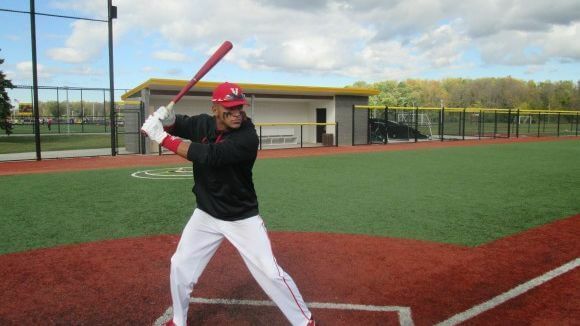 This year and next, the School or the Arts’ Kenny Cruz might just thrust baseball into the Rochester City Athletic Conference’s spotlight. For decades, football, basketball and track have dominated the RCAC: think Trent Jackson Sr., Joe Binion, Kim Batten and Roland Williams. Now, a baseball play may take center stage. Batting over .500 in 2014, Kenny has been twice selected to the RCAC 1st team. He has power (once hitting a ball from the Cobb’s Hill field over Culver Road), speed, and defensive agility. While Kenny considers center field his natural position, when called upon to pitch, he has been brilliant, last April striking out nine batters in three innings. Just a 16 year-old, 11th grader, Kenny is in active contact with Division I programs, such as Canisius College, Long Wood University, Florida Southern College, St Bonaventure University and the University of Miami. For any local ballplayer, such attention would be remarkable. For an RCAC player, it might be unprecedented. 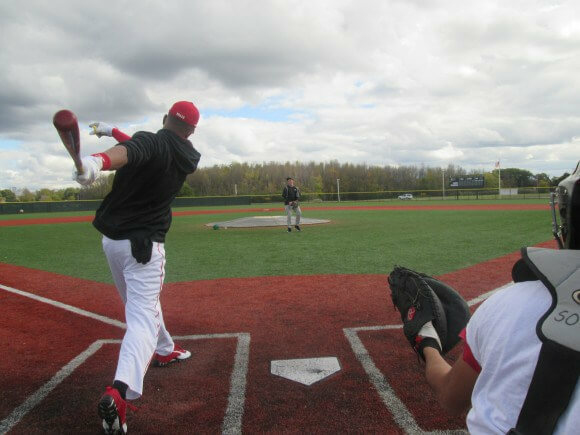 I had the chance to see Kenny’s abilities first hand last Saturday when I joined him and two of his SOTA teammates, Timothy Rodriguez and Nick Petrone, for an off season workout at Monroe Community College (arranged by SOTA athletic director Dave Michelsen). There I learned that Kenny hones his game year round. He tries to take hitting practice every day at his travel ball Team Valle’s hitting facility. 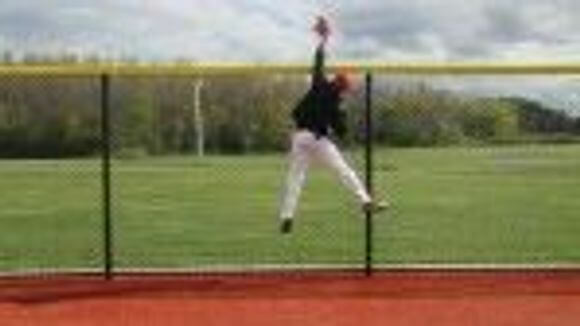 He has a lifting program designed for baseball specific strength. And, Kenny prepares himself mentally by visualizing hard work, success and confidence – necessary ingredients for this tough game. As we were leaving the field, Kenny, somewhat offhandedly and humbly, told me had just won an award for having the current highest GPA, 4.25, in the entire District. I wasn’t totally surprised, given the focus and seriousness he puts unto baseball, but certainly impressed. With Kenny, we won’t have to worry about eligibility or making the grade. I am guessing he would make it to the college of his choice based on academic ability alone. Kenny wanted to thank his Coaches Dave and John Valle, his parents Lizaida Cruz and Norberto Guzman, his girlfriend Emma Mryglod, and his good friend Alex Canty. 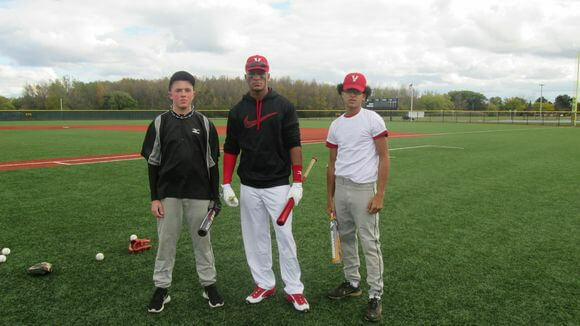 As I baseball fan, I root for RCAC baseball to gain in popularity. Recently, fields have been improved and participation has increased, especially in the Hispanic community. In years to come, hopefully, Kenny Cruz—for all his gifts and grit—will be one of many.